a day like brisk walking, running, swimming, and dancing. With this fact, one can start weight loss by increasing muscle mass. 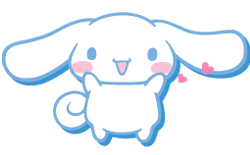 I do not leave a response, however I looked at a few of the remarks on "Gifs Cinnamoroll". like they are written by brain dead people? :-P And, if you are posting at additional online sites, I'd like to follow anything new you have to post. Could you post a list of the complete urls of your social community pages like your twitter feed, Facebook page or linkedin profile?